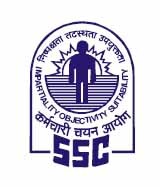 Staff Selection Commission (SSC) has published a Advertisement for below mentioned Posts 2015. Check below for more details. Educational Qualification : Must have passed Matriculation Examination OR equivalent from a recognized Board. How to Apply : Interested Candidates may Apply Online Through official Website or Offline by sending application to below address.